You NEVER See The Police About? Well, that is something you hear a little less these days with the higher visibility of PSCO’s and police bycycles, but who not come and meet the SNT – Safer Neighbourhood Team, our local community police force. As well as their monthly surgeries at Morrisons they do regularly patrol the area. 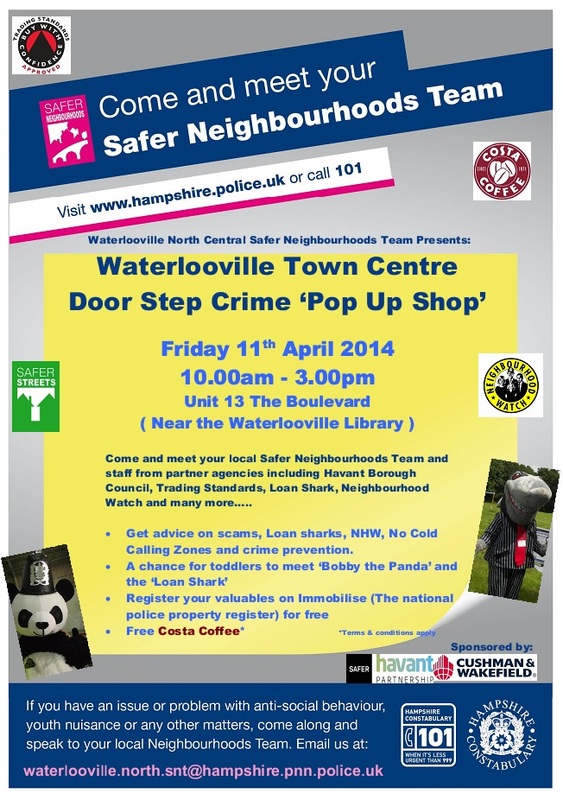 Meet the team and find out more on Friday 11th April – Details below. Hopefully you will get to know some of our local officers, hear about the crime they are tackling, and find out why we have one of the lowest crime rates about. When you see the Police team at morrisons, how often do you speak to them? Why not stop a few minutes, ask about local crime, what to be worried about at the moment, and let them know we appreciate their hard work?